It’s entirely incongruous to me that it’s accepted that the most ‘successful’ people in business get to that hallowed place by stepping on others. The ability to lie, cheat and deceive in order to progress shows nothing more than a shocking lack of perception into the link between personal contentment and achieving your ambitions. At some point in your life it’s important to realise that a) your mistakes don’t go away and b) the way you treat others says much more about you than your self-generated PR, and c) you don’t ALWAYS have to prove that you’re ‘right’. 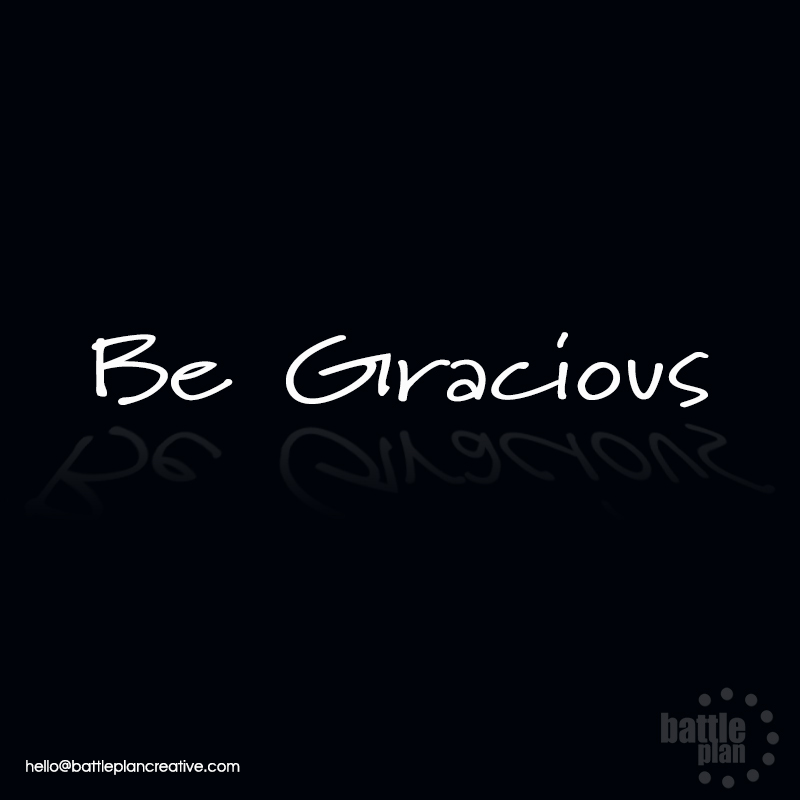 Graciousness may not always come easy. Nailing the ‘be kind always’ bit isn’t too hard (generally speaking), but there will come a time when you have to choose between being 100% honest and adopting a more gracious tone. The two needn’t be mutually exclusive. Simply stop, inject a good dose of tact, and consider the feelings of the person stood opposite you.